EU-ASEAN countries | "The Voice of the European Services Sectors in International Trade"
ASEAN is the Association of South East Asian Nations. Whereas the ASEAN region constitutes the EU’s fifth largest trading partner, the EU presents even the second largest trading partner after the US to most ASEAN countries. The European Union recieved its mandate to negotiate a free trade agreement with seven of the ten ASEAN countries in 2007. The negotiations with Brunei Darussalam, Indonesia, Malaysia, Philippines, Singapore, Thailand, and Vietnam were initiated on 4 May 2007. Politicial instabilities in Thailand have, however, interrupted the EU-ASEAN trade talks. The three ASEAN countries Cambodia, Indonesia and Burma/Myanmar were excluded from the trade talks due to political reasons already before. As a result of the interrupted EU-ASEAN negotiations, the European Services Forum would welcome the initiation of seperate trade negotiations with Singapore. The growing fraction of trade in services between Singapore and the European Union, as well as Singapore’s great economic share in services accounting for 68,8 % of the country’s GDP (2007), clearly indicates a strong potential for a significant mutual benefit from any agreement on free trade in services for both trading partners. According to the Delegations of the European Commission in South East Asia, EU countries generated a surplus of €2.8 billion from overall services trade of €13.8 billion with Singapore, in 2005. ESF Chairman, Christoffer Taxell, sent on 12 July 2010 a letter to EC Commissioner for Trade, Karel De Gucht, on the European Services Industry Priorities on EU-Singapore FTA negotiations. The European Services Forum is strongly in favour of concluding a free trade agreement with Singapore, which can serve as an ambitious benchmark for future agreements in the region. 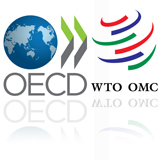 ESF takes for granted that respective best GATS offers, including oral commitments at the WTO Signalling Conference on Services on 26 July 2008 in Geneva, form the basis of the services and investment FTA negotiations with Singapore. Furthermore, ESF encourages EU negotiators to do their utmost in getting from their Singapore counterparts similar commitments than committed by Singapore with the United States, with Australia and with New Zealand, so that existing discrimination between European companies and companies from these countries on the Singaporean markets are eliminated. Additional commitments that would create new business opportunities should then be sought. In May 2011 the 1st EU-ASEAN Business Summit was held in Jakarta, Indonesia. The event gathered business representatives from both regions and provided them with the opportunity to meet with Trade and economic ministers from the ASEAN countries and also the EU’s Trade Commissioner Karel De Kucht. 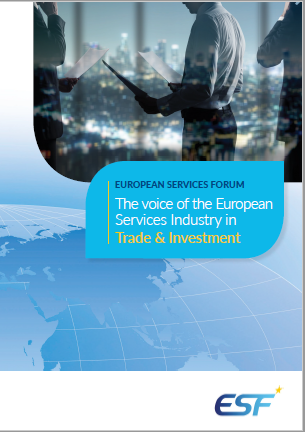 The European Services Forum’s Director moderated the session on services at the event and ESF is in general very supportive of events that contribute towards opening markets and opportunities in the highly dynamic ASEAN region. Involvement in the event from all levels was particularly encouraging. The brochure for the event can be found here.